Identity Theft is a very common white-collar crime in Washington State. Identity Theft is defined as knowingly obtaining, possessing, using, or transferring a means of identification or financial information of another person, living or dead, with the intent to commit, or to aid or abet, any crime. Some examples of Identity Theft may include mail fraud, opening a bank account or forging a check in another person’s name, illegally obtaining and using another’s credit card, debit card, or social security card without lawful authority and/or fraudulent wire transfers or electronic money transfers. A person commits Identity Theft in the First Degree if he commits identity theft and obtains credit, money, goods, services, or anything else of value in excess of $1,500 in value. Identity theft in the first degree is a Class B felony punishable by up to 10 years in prison, a maximum fine of $20,000, or both. 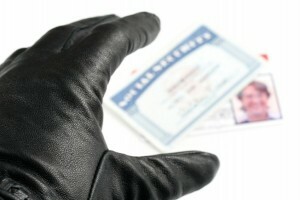 A person commits Identity Theft in the Second Degree if he commits identity theft amounting to $1,500 or less. In other words, any act of identity theft by which the offender obtains credit, money, goods, services, or anything else of value less than or equal to $1,500 in value. Identity theft in the second degree is considered a Class C felony punishable by up to five years in prison, a maximum fine of $10,000, or both. A person convicted of identity theft may also be required to pay civil damages in the amount of $1,000 or in the amount of actual loss, whichever is greater, including costs to repair the victim’s credit record, and reasonable attorneys’ fees as determined by the court. Also, whenever any series of transactions involving a single person’s means of identification or financial information which constitute identity theft would, when considered separately, constitute identity theft in the second degree because of value, and the series of transactions are a part of a common scheme or plan, then the transactions may be aggregated – or in other words, added – in one count and the sum of the value of all of the transactions shall be the value considered in determining the degree of identity theft involved. Attorney Alexander Ransom is experienced at investigating identity theft crimes. He understands the Prosecutor must prove that the defendant (1) intentionally possessed someone else’s personal information, or (2) obtained the information with criminal intent, and/or (3) that defendant’s acts involving the stolen identifying led to the victim’s losses; financial or otherwise. Your defense strategy is crucial, and the help of a skilled criminal defense attorney like Alexander Ransom is strongly advised. If you or someone you care about is charged with Identity Theft crime in Skagit County or Whatcom County, call attorney Alexander Ransom today for a free, no-pressure case evaluation. Alexander has a reputation in the legal community as an aggressive, effective and experienced criminal defense attorney. He is here to assist you through these difficult times.